This is one song which we’ve probably heard the most in WWE. Unfortunately, this song would also be playing in a few players’ minds after the conclusion of the ongoing series between India and England. I’m not referring to Alastair Cook when I say this. Cook has actually had a dream end to his international career having scored a wonderful century in his last innings. He’s given it his all and as he has himself said, he has nothing left in the tank. It was a fairy-tale ending for Cook and he surely is going out in style. The song though, would be for 2 players, one from either side. 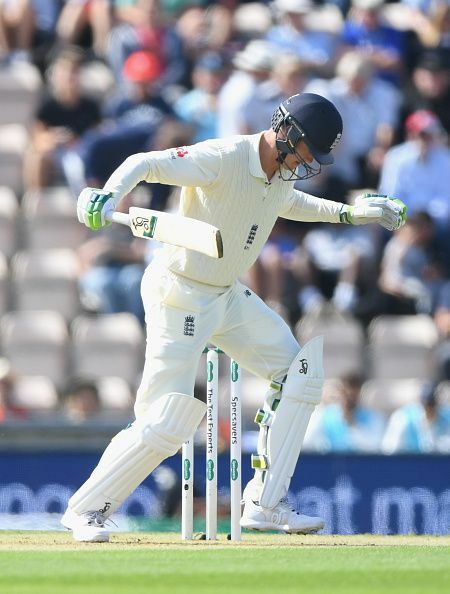 For the Three Lions, it would be for Keaton Jennings. Jennings made his debut against India in 2016 and scored a century. He looked very promising but was in and out of the side on a regular basis. This series at home, was a chance for him to prove his mettle. Unfortunately, his performances were extremely poor and he has found different ways to get out in this series. There was no foot movement whatsoever while he was at the crease, and he never really looked comfortable in the middle. In the 9 innings that he played in this series, he scored only 163 runs at a dismal average of 18.11. There’s a very good chance that he would be making his way out of the England side for the foreseeable future. For India, it is the dashing opener Shikhar Dhawan whose place is under threat. There is no doubt that he has been under the hammer. Being dropped after one poor match in South Africa and again being dropped after one match in England, was probably not doing justice to his confidence and self -belief. Having said that, he has got his opportunity in this series, where he has played 3 matches continuously after being dropped. Despite this, he has not been able to make his mark in the series. Conditions were tough, the ball was swinging and there is no doubt that batting was not easy, but there were players who found a way of scoring runs and so this cannot be an excuse. The Test match at Oval, where the track was seemingly flat in the second innings was the final nail in the coffin. Had he scored at least a 50 in the second innings at The Oval, there would have been a tiny glimmer of hope for him. Alas, he got out having scored only 1 run. In the 4 matches that he has played in this series, he has scored only 162 runs at an average of 23. Both India and England, have had their own opening woes. The Indians are running out of patience with their openers on overseas tours. 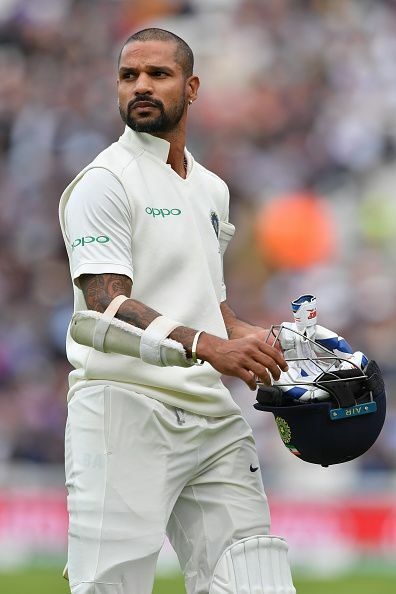 Dhawan has got his fair share of chances and in all likelihood, India will need to find another opener to partner KL Rahul. England also have a lot of issues and for them its going to be even tougher, considering that they have tried and given many players an opportunity but no one has been able to cement their position. The work is cut out for the selection committee of both teams, but it definitely feels both Dhawan and Jennings might have to bid adieu to the longest format. KL Rahul: The best bet to fill in Dravid’s shoes?